Our very own blend developed for us by El Titan de Bronze in Miami. The S.G. Connecticut is a lush, creamy smoke, mild-to-medium bodied, with notes of coffee, cream and just a hint of vanilla. It smokes perfectly as each cigar has been tested for draw and density. A very unique, premium stick, only to be found here at El Cigar! Almost every cigar shop or tobacconist out there will have something of their own to offer. Some still put together their own blends of tobacco for sale, some will put together their own packs of cigars, and some even go so far as to have their own cigars made. Of course, those cigar shops that are having their own line of cigars made, they aren’t doing so by themselves. There’s not a room in the cigar shop filled with people hand rolling cigars, as amazing as that would be to enjoy and to watch (how much cooler would cigar shops be in the US if you could walk in any day and see people rolling cigars). Most of these cigars are being outsourced to bigger companies. At El Cigar, they outsource the production of their local cigar lines to the fine folks over at El Titan de Bronze, a shop down in Little Havana, Florida. As the name suggests, they are in a facility that is absolutely steeped in Cuban cigar lore, on the famous Calle Ocho street in Little Havana. They maintain high quality controls, even having a master cigar roller come and inspect the days’ work before it is packaged. 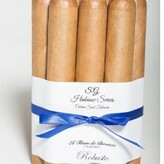 So what makes these cigars so special? 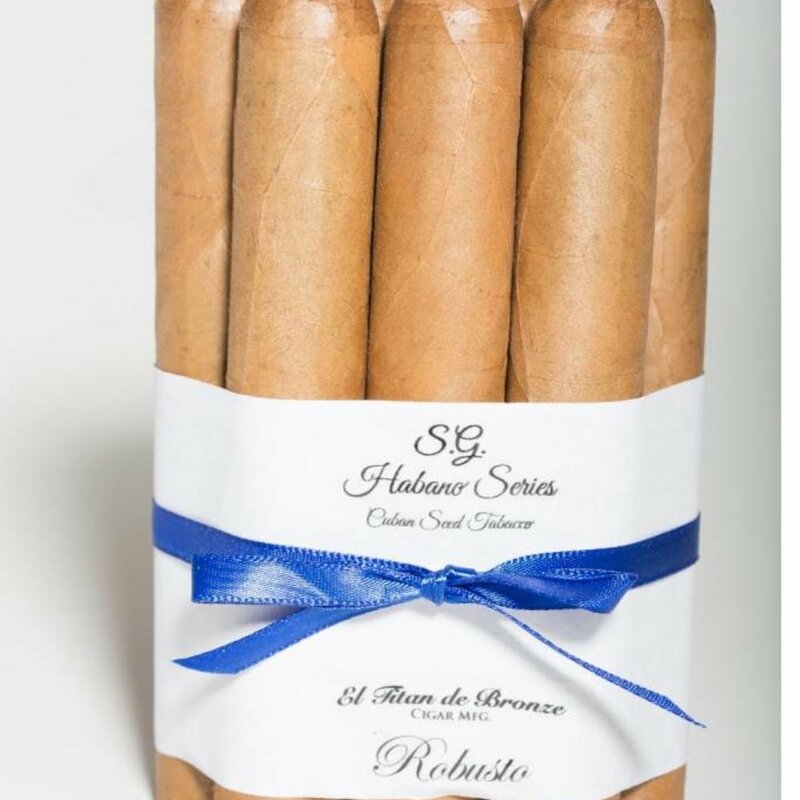 The Family Series S.G. Connecticut Robusto starts with a Connecticut Shade wrapper and is a Nicarguan Puro (meaning that the cigar is made entirely from tobacco grown in Nicaragua’s premier growing regions like Esteli). The smoke is a medium-mild bodied cigar, with a creamy texture and complex flavor that will keep you coming back for three, four, ten, and more. I’ve had many local cigar blends in my life, and this is one of the best I’ve yet smoked. Remember, you can only find these puppies here at El Cigar!